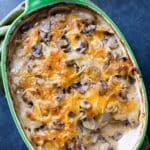 Think mushroom potatoes and gravy in one delicious bite. 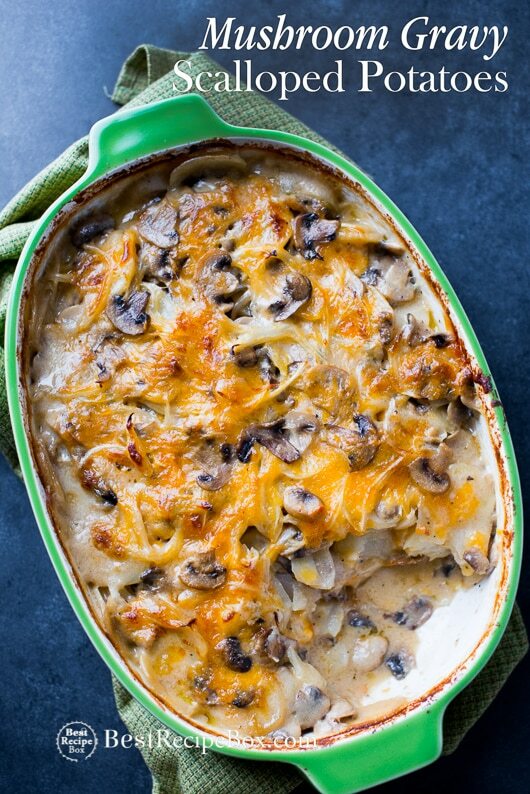 This Mushroom Gravy Scalloped Potatoes Recipe is the brainchild of our recipe testing days when we’re craving mushrooms, gravy AND potatoes all in one sitting. First of all, it’s easy to say why we’re so obsessed with scalloped potatoes. Second of all, when we combine it with our love of mushroom gravy, we’re hooked for life! Previous our delicious mushroom gravy recipe went viral online. Everyone seems to be loving mushroom gravy with a passion (with the exception of some mushroom-haters)! And of course, our creamy gravy scalloped potatoes recipe was part of the inspiration too because we united so many people with the love and ease of combining gravy with potatoes. So with some leftover mushroom gravy and extra potatoes, we created this magnificent mushroom gravy scalloped potatoes. It’s for the die-hard gravy lovers like we are! 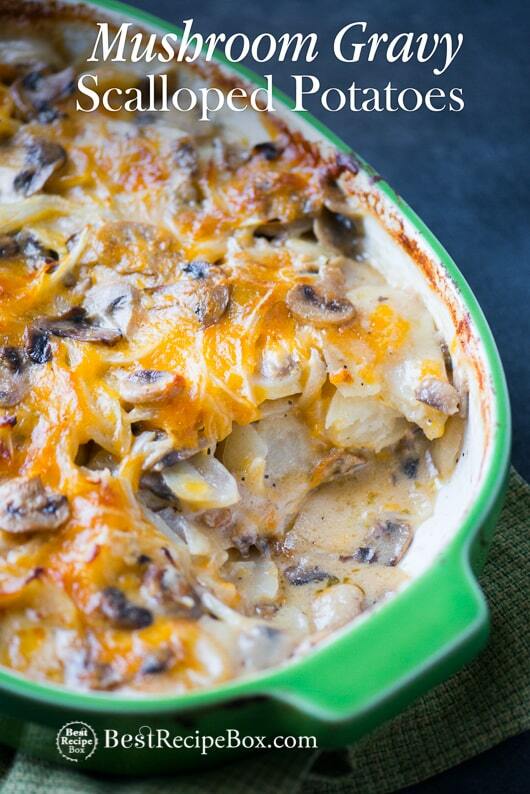 Finally, here’s a great simple scalloped potatoes from Christy! This scalloped potatoes recipe is great for Thanksgiving, Christmas, Holidays, Cold Days, Hungry Days, Starving Days or anytime you want to comfort yourself with gravy, potatoes and mushrooms. It’s one of the perfect one-pot potato casserole dishes that always seems to please. Tender, delicious and flavorful potatoes in each bite is why everyone seems to ask for seconds. 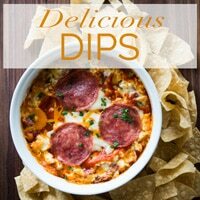 Oh yea, because the cheese helps too because when you’re serving a warm casserole potato dish, you gotta have tons of cheese to make it a happy dish! We’re not new to cheese and potatoes. Obviously our 3-cheese mashed potato bake and garlic potato casserole is enough proof to tell you why we love potatoes too much. 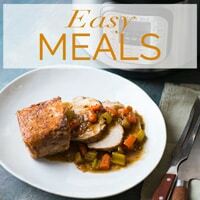 Hopefully you’ll get to try all these soon and love to eat then as much as well do! Click Here for our Best Thanksgiving/Holiday Recipes and Casserole Recipes. 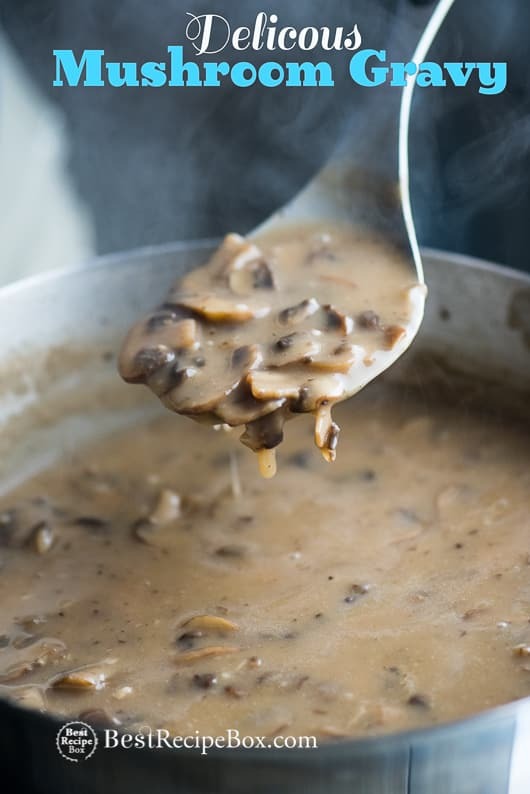 Our Delicious Mushroom Gravy Recipe is here and it’s a hit! Try our regular creamy gravy scalloped potatoes recipe. 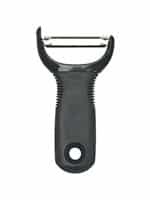 OXO Y-Peeler – Comfortable grip, built in potato eyer. This one is a workhorse in the kitchen. 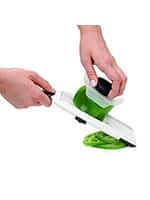 OXO Adjustable Handheld Mandolin – You’ll just zing through cutting nice even slices of potatoes. Perfect size for the occasional use. Adjustable, doesn’t take up much drawer space, non-slip grip. 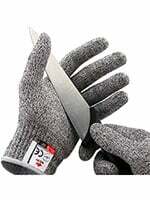 Cut-resistant Gloves – We’ve learned the hard way, always use cut resistant gloves when using mandolin. 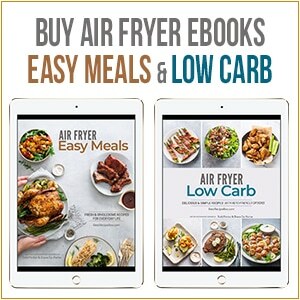 You’re fingers will thank you. 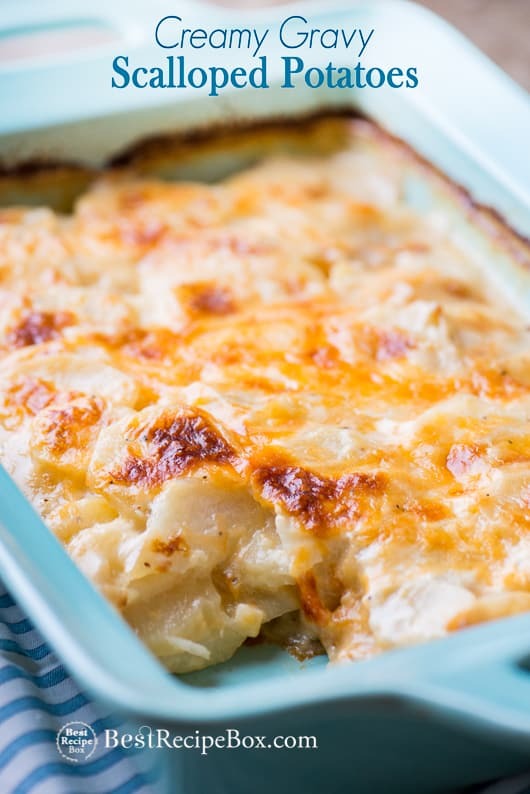 When you’re making this scalloped potatoes recipe, just make sure to slice the potatoes thin and even, with consistent cuts. 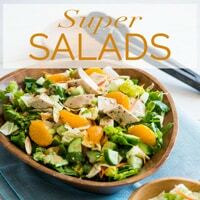 You don’t want to have a mix of thin and thick slices because the casserole won’t cook evenly. The thicker the potato slices, the longer it will take to cook. 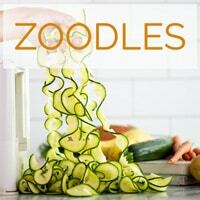 Be careful and try to cut them thin with a mandoline (we highly recommend using a cut-safe glove with a mandoline) or sharp knife. Yukon Gold Potatoes are our favorite because they're more creamy and tender than russets. Preheat oven to 375°F. Butter an 9”x13” baking dish. Set aside. Make the gravy: In saucepan, melt half of butter (1/4 cup) over medium-high heat. Add garlic, cook until softened and then add mushrooms and cook until mushrooms are golden brown and excess mushroom liquid evaporates, about 5-10 minutes. Add remaining butter and cook until melted. Stir in the flour, cooking and stirring to remove lumps. Add about 1/2 cup of stock, whisking until incorporated. Pour in the remaining broth and milk. Whisk until well combined. Season with salt and pepper, to taste (the saltiness and flavors will concentrate some when it reduces down). 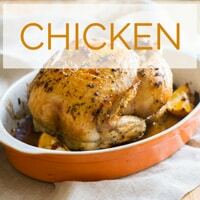 Reduce heat to medium, stirring often, simmer until slightly thickened, about 15-20 minutes. Check for seasoning and salt again if needed. Remove from heat and set aside. Layer 1/2 of the potatoes in the prepared baking dish, making sure to separate slices. Top with half of the gravy. Layer half of the sliced onions. Layer about 1/2 of the cheese over the potatoes. Top with the remaining potatoes (making sure to separate slices). Top with remaining gravy, onions and cheese. Cover the pan with aluminum foil. Bake for 1 hour, the remove foil and bake uncovered for about 25-30 minutes or until top is golden and potatoes are cooked through. Serve warm. Note: If you're using a smaller and taller baking dish than a 9"x13", it might take a little longer to cook because the volume of potatoes are higher and thicker. This was bleeping amazing. I could’ve eaten more but I used my self control and realized there will be more tomorrow. The only changes I made was that I halved it since there was only 2 of us. 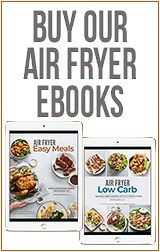 I’m usually a big rice or pasta eater, but after eating these potatoes I HAVE TO make myself some more potato recipes. Hi Kazy, so glad you enjoyed them! Yeah, these potatoes are so creamy and addicting!